[Uri Shaked]’s lamentation over the breaking of his smart bulb was brief as it was inspiring — now he had a perfectly valid excuse to hack it into a magic light bulb. The first step was disassembling the bulb and converting it to run on a tiny, 130mAh battery. Inside the bulb’s base, the power supply board, Bluetooth and radio circuits, as well as the LED board didn’t leave much room, but he was able to fit in 3.3V and 12V step-up voltage regulators for the LiPo battery. 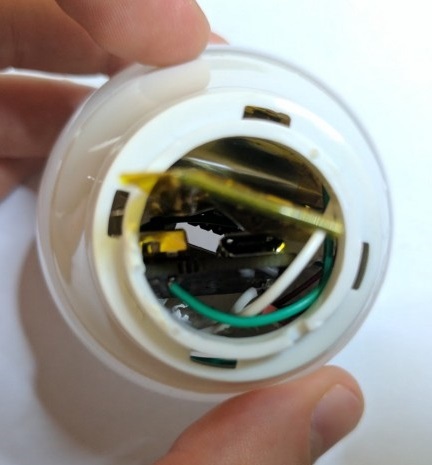 [Shaked]’s self-imposed bonus round was to also wedge a charging circuit — which he co-opted from a previous project — into the bulb instead of disassembling it every time it needed more juice. Re-soldering the parts together: easy. Fitting everything inside a minuscule puzzle-box: hard. Kapton tape proved eminently helpful in preventing shorts in the confined space. The laundry machines at [Hans Viksler’s] apartment were converted over from coin operation to stored value cards. We’ve all dealt with these cards before and [Hans] thought it would be fun to do a little sniffing around at how this particular company implements them. 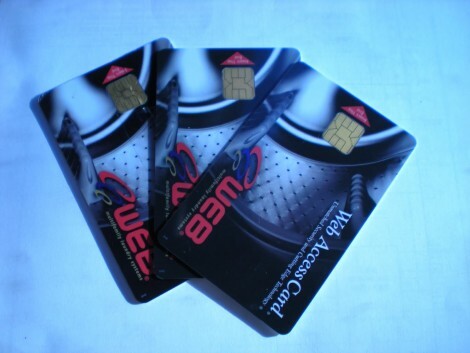 We’ve covered how to read these cards and there have been several stories regarding how to bypass the security that they use. But [Hans] wasn’t interested in stealing value, just in seeing how things work. So he stuck the card in his reader and after looking around a bit he figured out that they use the Atmel AT88SC0404C chip. He downloaded the datasheet and started combing through the features and commands. The cards have a four-wrong-password lockout policy. He calculated that it would take an average of over two million cards to brute force the chip’s stored password. But further study showed that this is a moot point. He fed the default password from the datasheet to his card and it worked. We know it takes quite a bit of knowledge for the average [Joe] to manipulate these cards at home, but changing the default password is literally the very least the company could have done to protect their system.